The new main window in Windows 7 removes the current view of a list of open windows, where each of them assigned to the button on the task bar along with the corresponding label in the title bar. Although after a few adjustments you can set Windows 7 go back to default, it is not recommended though. The new way to control the task bar is a time and space saver. One of the new Task bar in Windows 7 is a grouping of all open windows under one button so that, move your mouse over the icon you'll see thumbnails of all windows, which has the application open and you can switch to them straight. If you want the look of the task bar in Windows Vista or Windows XP customize news from Windows 7, you have to get down to editing the registry HKEY_CURRENT_USER\Control Panel\Desktop\Window Metrics. Find the branch HKEY_CURRENT_USER\Control Panel\Desktop\Window Metrics, create it MinWidth new value and set it to -255. Restarts and the task bar buttons will be square. The result after modifying the registry mentioned above, however, nothing much. Much better effects as well as making it easier to achieve when you start the program ViGlance. This small freeware applications that can not be installed, turn the button on the tiles open windows, while the main supply panel transparency. Moreover, whenever it can be turned off and all return to their original state without having to restart the computer. ViGlance works in both Windows Vista and the older Windows XP, we strongly recommend to try. In addition, adds a list of windows in the form of floating transparent panel. Although no windows as thumbnails in Windows 7, but still a great feature. 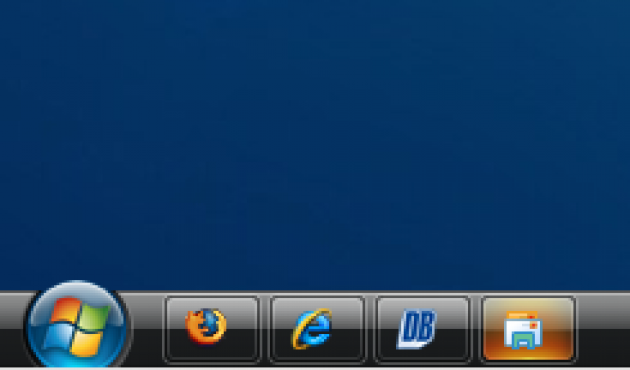 You can have all the icons on the task bar enlarge. Normally, the buttons are modified using ViGlance slightly larger than the button in the panel for easy start up, which does little to me personally. I like an adjustment with ViGlance a lot, yet I see no reason why not to use it in Vista.